Situated on the eastern end of Hokkaido Japan, lies Kushiro Shitshugen National Park. The park is known for its wetland ecosystem, rich in rare animals and plantlife. 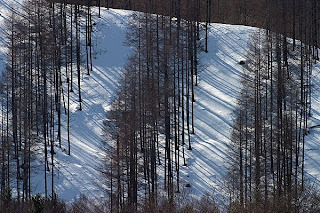 In winter, it is also home to one of Japan's "treasures" - the tanchos. 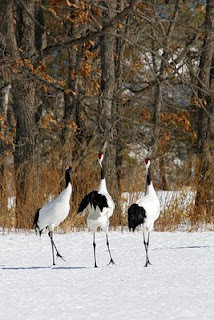 Also known as red crowned cranes, these Japanese cranes are designated as a special natural monument of Japan as, at one point in time, they were almost extinct. 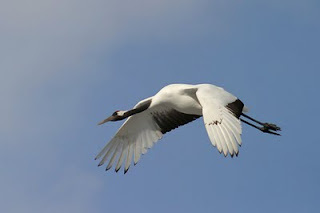 They are migratory birds that spend their winters in rivers and marshes in Japan, China and the Korean Peninsula. The Japanese have long considered these cranes as a symbol of longevity, auspiciousness, and even fidelity in marriage. Now, you can see many Japanese tourists coming to this park in winter to view them. And what a sight! 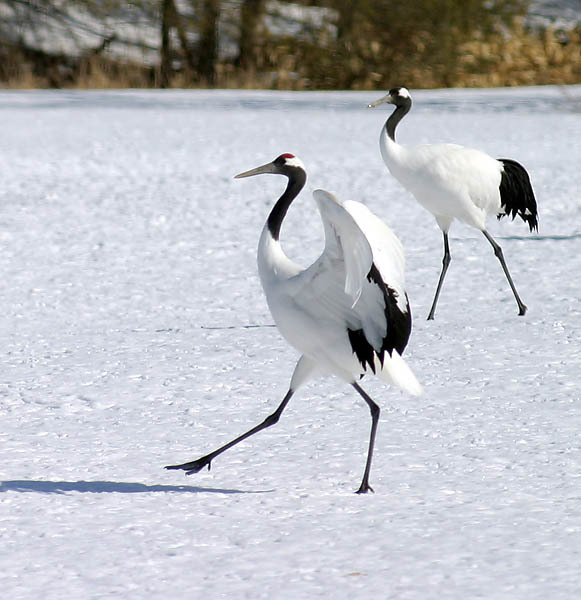 These cranes dancing on the snow is a sight to behold! They use this dance routines for courting as well as communication. They also raise their heads to make some sort of "unison call" between the male and female before getting into the dance sequences. 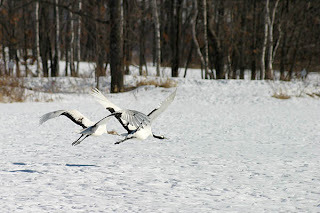 And when they take flight, their grace and form against the winter background is like a Japanese painting, simple, pure but artistic! Kushiro Shitshugen National Park is accessible by public bus from Kushiro town. Of course, with private vehicle, you would have more flexibility, else if you're like me, you would be at the mercy of the limited bus schedule, esp in winter! Nevertheless, limited time or not, a trip well worth making!